PIMD has launched our new remote support program for the Sri Lankan schools participating in the Lotus Program. 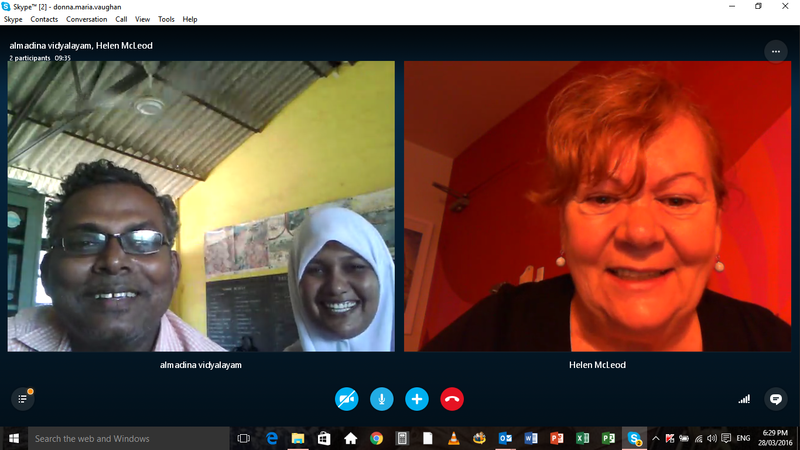 Al-Madina teachers are tutored in English by Helen Mcleod, Senior PIMD Consultant, using Skype. The remote support program will be tailored to the needs of each school. Al-Madina is very strong in the Lotus methodology and so we have jointly agreed to focus on building teacher confidence by improving their own English language skills.